Event organised by Contredanse in collaboration with BOZAR, Charleroi Danse and TICTAC art centre, in the framework of Brussels, dance ! Steve Paxton’s visit to Brussels is a precious opportunity to meet this dancer, choreographer and teacher whose work has been of such influence in the world contemporary dance and who continues to inspire generations of dancers and choreographers today. Steve Paxton’s presence is in response to the invitation from Contredanse to celebrate 15 years of collaboration that have led to the release of Paxton’s first book Gravity and its French translation La gravité as well as Material for the Spine, a movement study, now available online. The event Swimming in Gravity will be governed by gravity and our relationship to this physical force – the central theme of Steve Paxton’s work. In collaboration with several cultural venues in Brussels, the program includes an exhibition, a lecture by Steve Paxton as well as a round table, within the LEGS festival, on inheritance and transmission. To complete the week, a series of workshops and times for exchange will be organized at La Raffinerie and at the TICTAC art center. 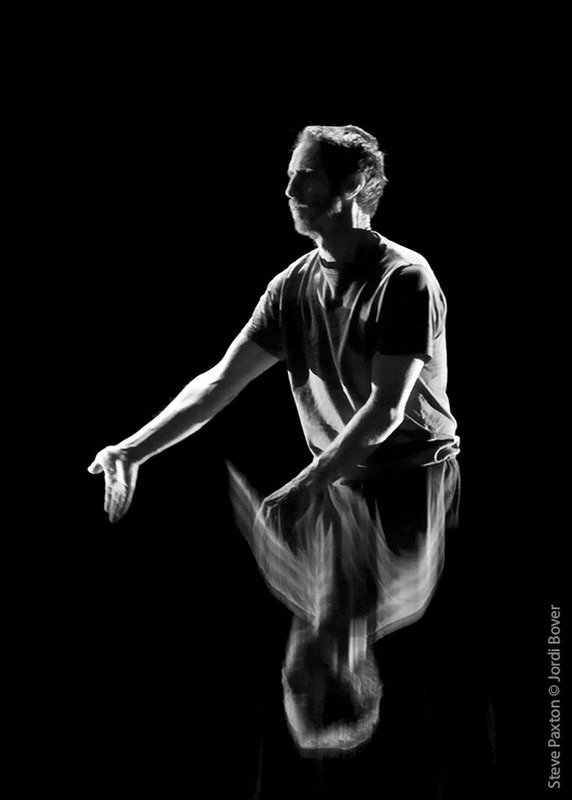 Like an outstretched hand, this event is an invitation to enter the dance, with Steve Paxton. By Baptiste Andrien and Florence Corin for Contredanse in collaboration with Steve Paxton. At the heart of the Centre for Fine Arts in Brussels, Phantom Exhibition lifts the veil on the fascinating universe of the dancer and choreographer Steve Paxton. Just like a reading room, Phantom Exhibition gives you the chance to walk around, sit down and dream in the midst of books which you can take a look at, interactive tablets you can have a go with and an immersive video installation, revealing a life spent questioning gravity, this physical force which acts on each and every one of us. With : Ray Chung, Patricia Kuypers, Charlie Morrissey, Otto Ramstad et Scott Smith. 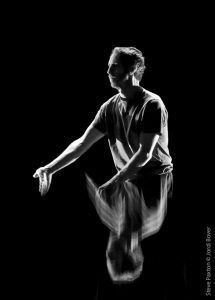 This event offers the opportunity to discover varied aspects of Steve Paxton’s work through a series of workshops — Contact Improvisation, Material for the Spine, movement laboratory and dance improvisation. Teachers are artists who have experienced working with Steve Paxton and have integrated it in their own way into teaching and performing practices. All participants will have the opportunity to attend all the workshops, two master classes will be given by teacher during the week. Moments of exchanges, discussions and informal performances are also planned during the week, a jam/party will celebrate the end of the workshop. Price: 230 € for the week, lunch included. Send your CV and a letter of motivation at formations@contredanse.org. The application is for the full week only. Steve Paxton’s conference at BOZAR celebrates the recent publication with Éditions Contredanse of his first book Gravity. In it, he looks back on a life inhabited by this natural physical force, and the memories of his first steps run alongside metaphysical meditations and views on the present-day world. With lucidity and humour, Steve Paxton investigates what is at the bounds of our conscience, and invites our senses to enter into the dance. With Steve Paxton, Baptiste Andrien, Ray Chung, Florence Corin, Patricia Kuypers, Denise Luccioni, Charlie Morrissey, Otto Ramstad et Scott Smith. Teachers, editors and dancers will share their points of view on the issues surrounding transmission of Material for the Spine and Contact Improvisation. Organized by Contredanse, in collaboration with Charleroi danse, in the frame of LEGS festival, at La Raffinerie. This entry was posted in Divers on 28 January 2019 by Anne.